Have a good day, sonny! Or soak up the serene sundown. And wake up back into the office, the next morn. ‘Good morning’ as well as ‘Good evening’. At the squares, eateries, or temples. Aren’t cheering me up, I sense. Squatting outside with weak, imploring looks. Before stepping into the sacred precincts. I chime the bells and bow to the gods. And withdraw a few more notes. The camphor platter, and the hundi. With their nuisance, loom large in my mind. We nibble some prasadam and step out. Which has gone a-begging for a long time. But with a lightened mind and heart. And I place the packets in their eager hands. Sails through smooth and soft, with no hitch. “Hi, good morning, my dear cheering sun! It’s the dawn of a humanitarian sense. 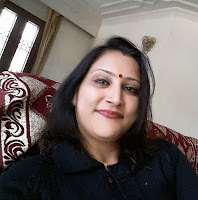 Interested in literature, U Atreya Sarma is into writing poetry, freelance editing, book-reviewing and translating. His poems and writings (articles, editorials, reviews, forewords, translations) mostly in English and a sprinkling in Telugu – have appeared in various print/online media and anthologies. A freelance editor with 18 years of experience, he is Chief Editor of the Muse India e-journal (www.museindia.com) since Nov 2016, having joined its team since Nov 2009; he was Editor (Fiction) up to Mar-Apr 2017 issue; he handled its News & Events column also up to Sep 2017; and continues to handle Reviews and Telugu Literature sections. His past editorship includes Bharatiya Pragna monthly and Cyberhood weekly. He is the official critic of Metverse Muse, an international journal of metrical poetry from Visakhapatnam; and is on the Advisory Board of Teesta: An International Journal of Poetry. Atreya Sarma has edited nine books: (1) Celebrating Creativity: HLF 2010 (An anthology of poems/ short stories by 76 writers); (2) Souvenir: HLF 2010; (3) Lung Care and Long Life by Dr Shyam Sunder Raj (2012); (4) Memoirs & Musings of an IAS Officer by KV Natarajan, IAS (Retd) (Menaka Prakashan, 2013); (5) Turquoise Tulips (a collection of short stories) by the USA-based Dr Ashok Patwari (Authors Press 2015); (6) Prolegomena and Transformative Articles on Literary Translation by Dr VVB Rama Rao (Authors Press, 2015); (7) Femininity: Poetic Endeavours (Authors Press, 2016); ‘Oka prasthaanam’ (ఒక ప్రస్థానం) (translated into Telugu by Varanasi Nagalakshmi of ‘A Journey’ a collection of poems rendered into English by Mantha Ravi from Narendra Modi’s Gujarati original) (awaiting publication). And a fictional autobiography by Gian Singh Shatir (in the pipeline). Atreya Sarma has translated three books from Telugu into English. 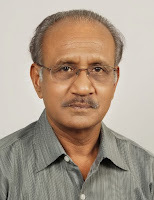 His translation of 16 Telugu short stories by a senior and prominent writer Dr Mallemala Venugopala Reddy under the title Salt of the Earth (2013) has been acclaimed by reviewers. As a panellist, he has translated into English 6 out of 36 chapters of Jnan Pith awardee Viswanatha Satyanarayana’s Telugu mega novel Veyipadagalu under the title Thousand Hoods, under the aegis of the Hyderabad based Viswanatha Sahitee Peetham (2015). His English translation of ‘Harisshva’ Dornadula Kesi’s unpublished Telugu manuscript as ‘The Mystery of the Eclipse Island’ (Vol. 1 of the multiple volume ‘Merciless Dark’) is awaiting publication. Apart from this, he has translated many individual poems, short stories and articles from Telugu into English. Atreya Sarma has been, since 2013, featuring and encouraging poets through his weekly column ‘Wordsmith’ in The Hans India, a Hyderabad based English daily. He has also guest-edited a Feature ‘India @ 70’ for the Aug 2017 issue of Setu magazine (http://www.segumag.com/p/setu-home.html). He is a recipient of the “Setu Award for Excellence 2017” conferred by the Pittsburgh based Setu, a monthly bilingual online journal. Looking at things in a new light does make the difference. Thank you dear Hema for bringing out the nuanced way of perception. Poignant poetry with glaring visual imagery. Enjoyable read, 'sonny' Atreya ji.